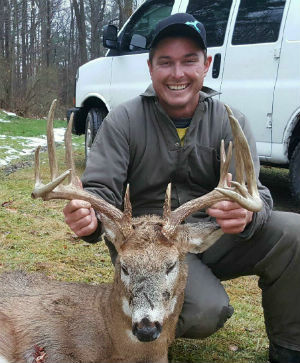 Over 270 New York Whitetails from the 2016 season and still more coming in. 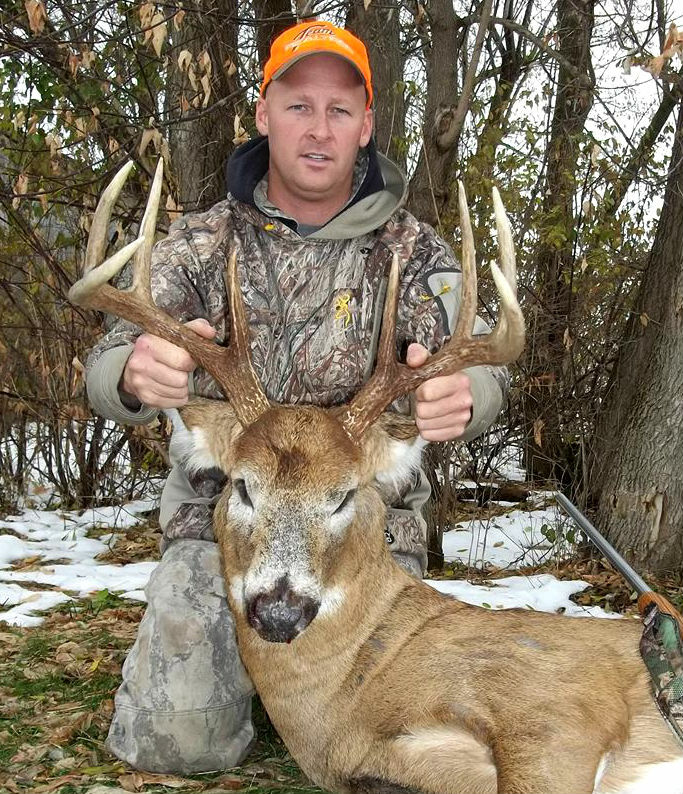 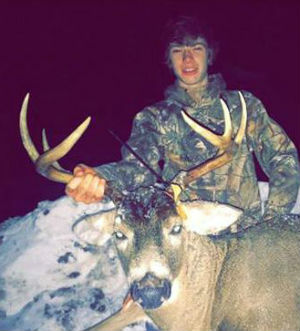 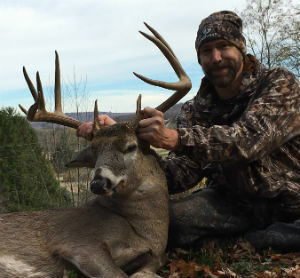 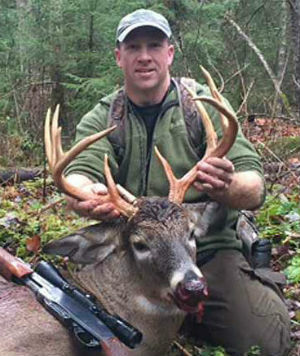 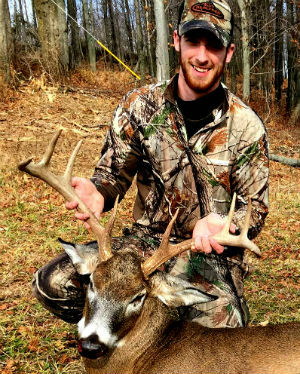 These pages are devoted to some of the bigger bucks taken during the 2016 season. 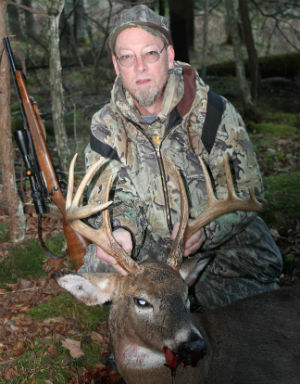 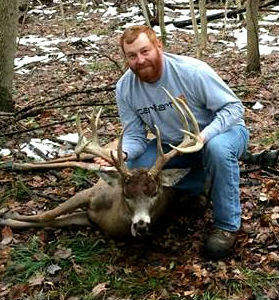 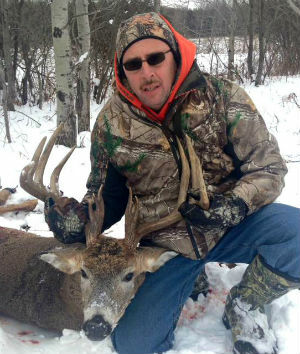 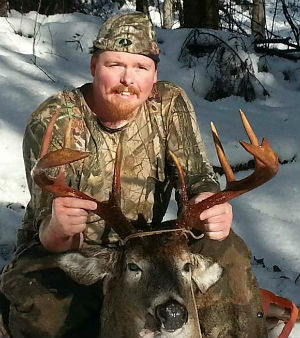 If you think you have a buck that makes the grade, email a photo to us at nyantler@twcny.rr.com. 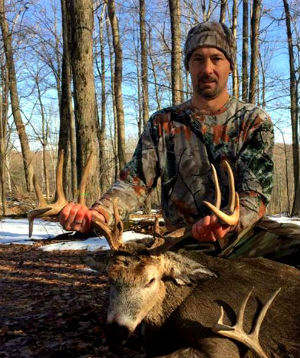 Craig Pyhtila shot this monster 23-point buck in Enfield, NY... Tompkins County on Dec. 3, 2016. 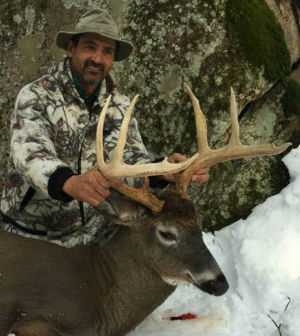 Joe Dinitto tracked down another great Adirondack 8-point on Nov. 28, 2016 in Herkimer County. 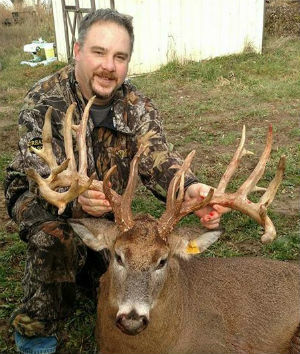 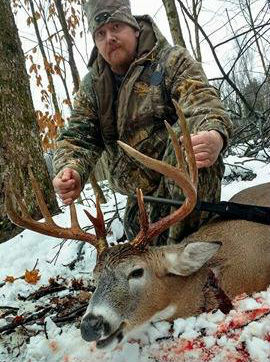 Jeff Wetzel shot this monster 14-point in Lockport, NY... Niagara County on December 3, 2016. 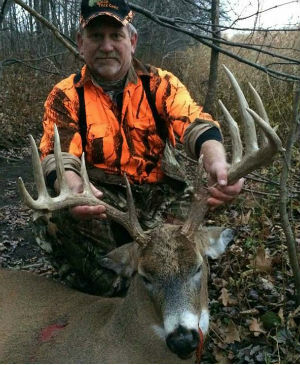 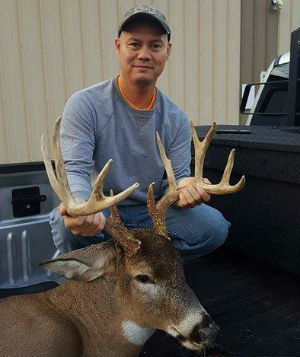 Jim Wilkes shot this big 8-point on Nov. 24, 2016 in Ontario County. 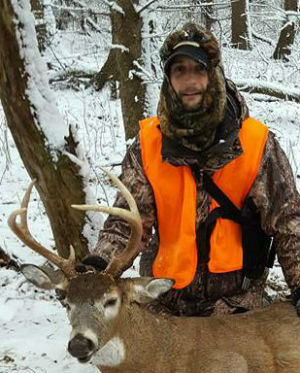 Jeremy Rifenburg shot this big buck in Essex County on 11/26/16. 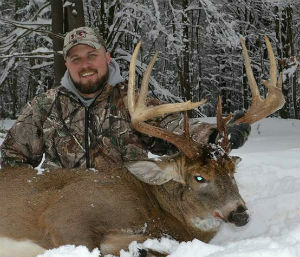 20 inch inside spread. 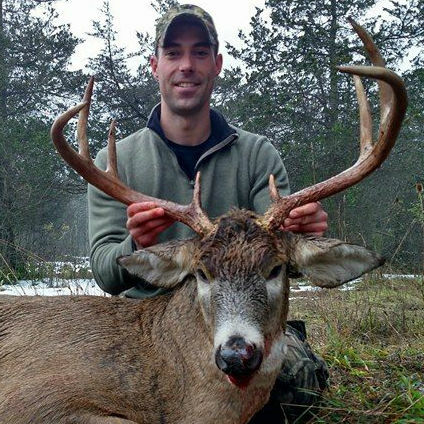 Michael Jividen shot this nice buck with crossbow on November 10, 2016 in Cattaraugus County. 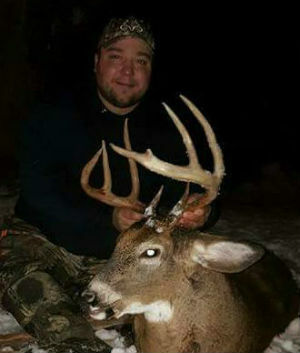 Kyle Holbritter shot this big boy in Oneida County on 11/23/2016. 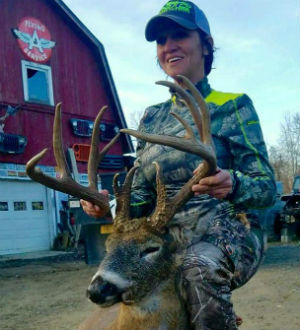 "Deer dressed at 160 lbs. 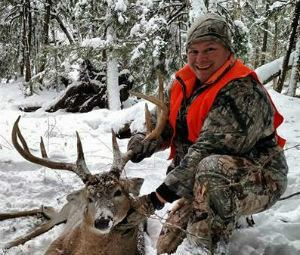 (no fat at all), Inside spread of 18.5". 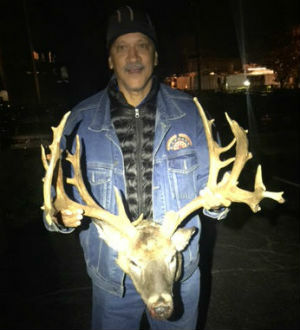 Deer has been hunted for 3 years and is believed to be 6.5 years of age." 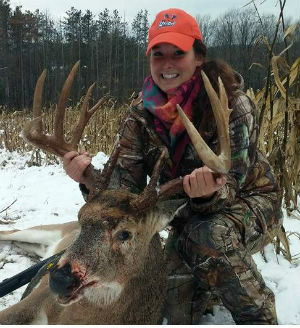 Kelsey Bezon shot this beautiful non-typical 10-point that got fooled by the grunt call in Genesee County on Nov. 27, 2016. 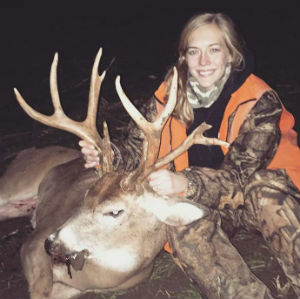 This is her first deer. 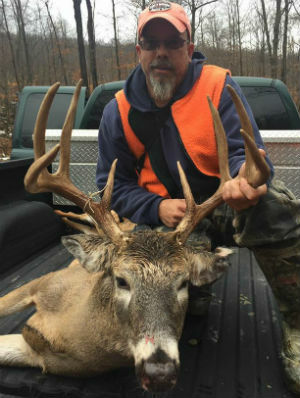 Jim Hudgins arrowed this huge non-typical buck in Suffolk County on 11/27/16 which may be in contention for #1 Archery Non-Typical in NYS. 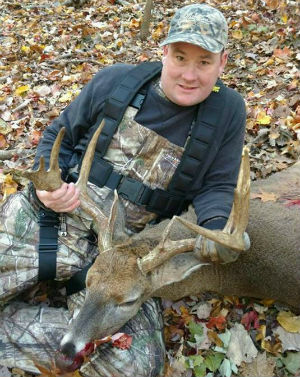 Jeremy Dodge shot this 10-point in Brunswick, NY... Rensselaer County (4C) on Nov. 21, 2016 with 30/30. 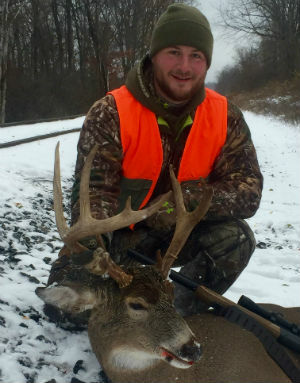 Mike Crane shot this big 8-point on 11/25/16 in Cattaraugus County. 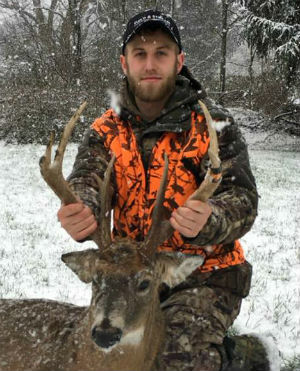 Chad Francisco shot this nice 13-point on Nov. 24, 2016 in Herkimer County.